You want to have a real fun experience in Madrid? Spain was one of the first countries in Europe (via Islamic way in the 8 century) in making ceramic art. 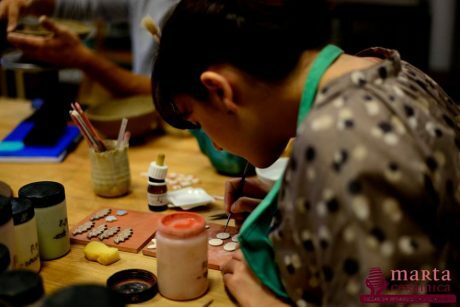 You can join a local ceramic class or a private ceramic-pottery class with your family and familiarize with the fascinating world of ceramics and the history of it in Spain with a local ceramists and a cup of tea. You can try the first steps of pottery and experiment with different kinds of Spanish clay or you can make your own Spanish Tile. You will create your Tile out of Spanish clay, dry it and decorate it in an old Moorish or Traditional style. You can ask for a private class or you can join a workshop class with local students.